DefineScope is Empresa Aplauso 2017! DefineScope is very happy to announce that it has been awarded, for the second time, with the status of Empresa Aplauso 2017 by the Portuguese bank Millennium BCP Empresas! 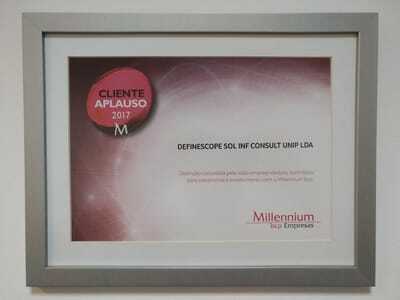 DefineScope is growing, and we are sure that your company will benefit greatly from working with us. Get in touch with us, and let’s start growing together today!